Assistant General Manager and former player Tad Gold reflects on team’s renewed purpose. All of that, and our very own Martha’s Vineyard Sharks, sporting a new look and purpose, are poised to open their seventh season as a charter member of the Futures Collegiate Baseball League (FCBL) of New England. 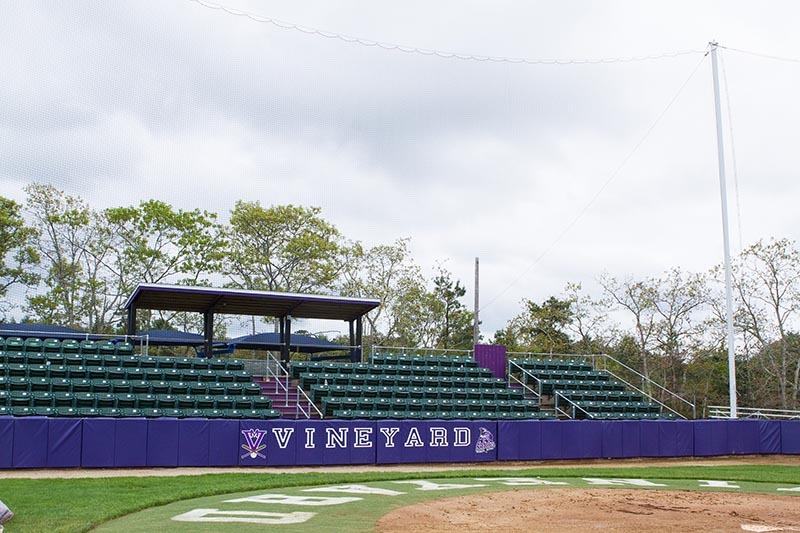 Thursday, the Sharks will host the Brockton Rox at the Vineyard Baseball Park, a.k.a. the Shark Tank, located on the athletic grounds of the high school. First pitch is at 6:35 pm. Friday evening, they’re right back at it, hosting the Seacoast (Portsmouth, N.H.) Mavericks at 6:35 pm. 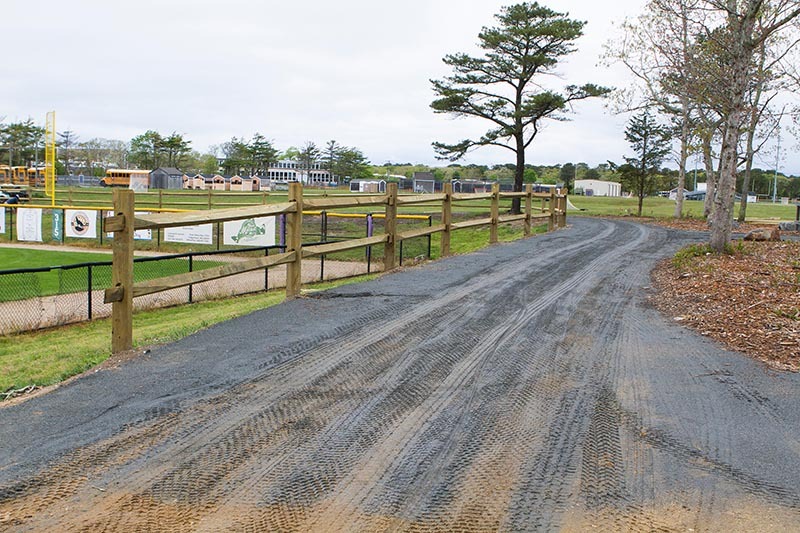 According to the team’s new assistant general manager, Martha’s Vineyard native Tad Gold, there is a renewed sense of urgency surrounding the team this year. In fact, you could say the Sharks are on a mission. 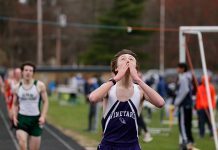 After a stellar high school career, Tad enrolled at Endicott College in Beverly, where he earned Division 3 All-American honors. In 2011, following his freshman year, Tad signed on with the Sharks for the team’s inaugural 2011 season. Two years later, he was a Futures Collegiate League All-Star, and an integral part of the Sharks’ 2013 league championship team. That fact would stay with him. In 2014, Tad’s success with the Sharks led to a minor league contract in the Baltimore Orioles farm system. That would be as close to the majors as he would get. When he was released last year, Tad knew what he wanted to do next. With his playing days behind him, it was time to give back to those who had done so much for him. The way he saw it, he owed a debt to the Island community for supporting him and to the Sharks for providing “an avenue” to a shot at the major leagues. As it turned out, he and Sharks owner John Roberts had similar ideas about the role the Sharks could play in the community. He, too, wanted to build goodwill and close ties. Tad was hired as Assistant General Manager and, working with General Manager Russ Curran, devised an action plan. His to-do list included: Change the game jersey to read Vineyard. Done. Have Sharks players help out at Little League practices. Done. Tad could serve on the Little League Board and high school coach Gary Simmons could work with Sharks players. Done. Add more “Kids Free” nights at the ballpark. Done. 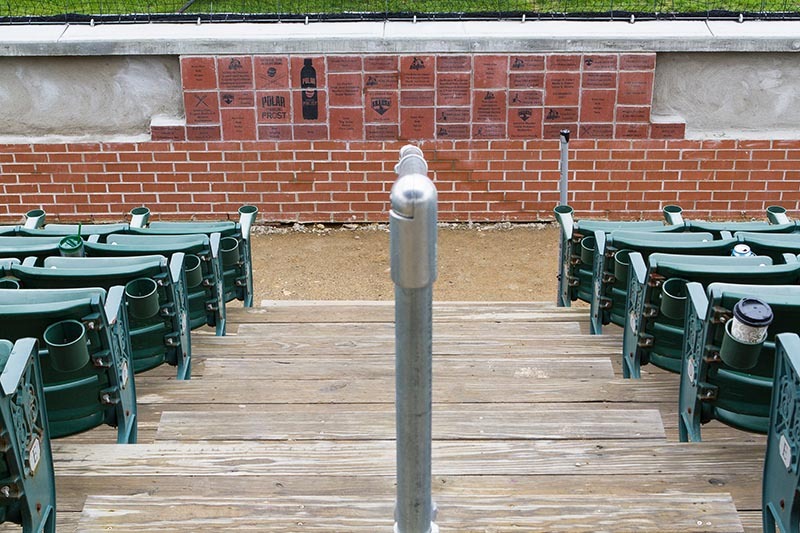 To-do list: Make substantial improvements to the field, including new brick facade behind home plate and pro-style netting for better viewing. Done. Add handicap access. 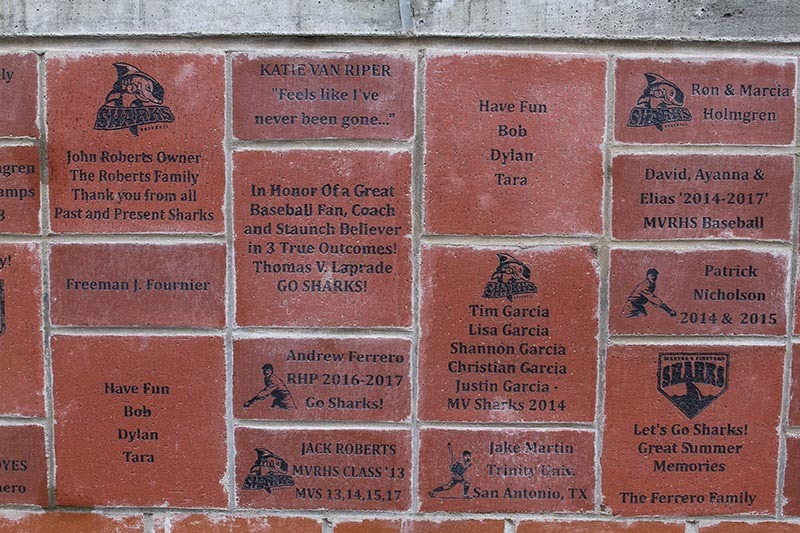 Hold a raffle at each home game; winner gets half the proceeds, Community Service and Sharks split remainder. Done. Change location of restroom for easier access. Underway. Expand the apparel and food concessions at the field. Underway. Part of Tad’s job, he explained, is to be part of these immediate, specific efforts to enhance the fans’ ballpark experience. “It’s a hands-on situation. 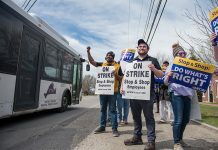 I work with local groups to accomplish things we think need to be done,” he said. And last, another long term goal: build strong local ties; contribute to community. mantra: Give back. 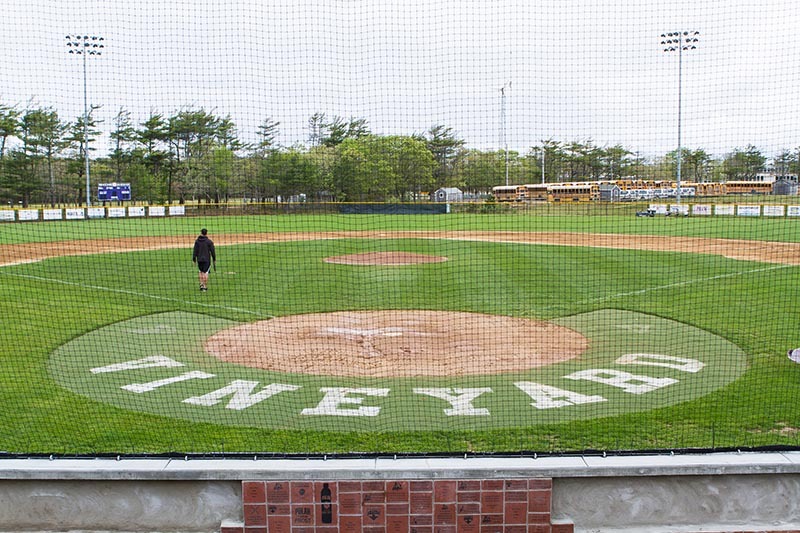 To-do list: Work with MVRHS and baseball coaches in planning field improvements. Donate to MV sports groups such as the Touchdown Club. Collaborate with Community Preservation Councils in improvement projects. Include local sponsors and businesses in all outreach efforts. All of them, done. Tad is encouraged by support from local businesses and individuals. He cited the home game raffles as an example of the team’s collaborative approach to community outreach. “We call it a 50-50-50 raffle, because there are three winners,” he said. “Cronig’s has been very generous in making it happen.” According to Tad, the jackpot is split between the winning fan and the Sharks. The Sharks, with Cronig’s help, then match the winner’s share in the form of a gift to the Center for Living in Vineyard Haven. 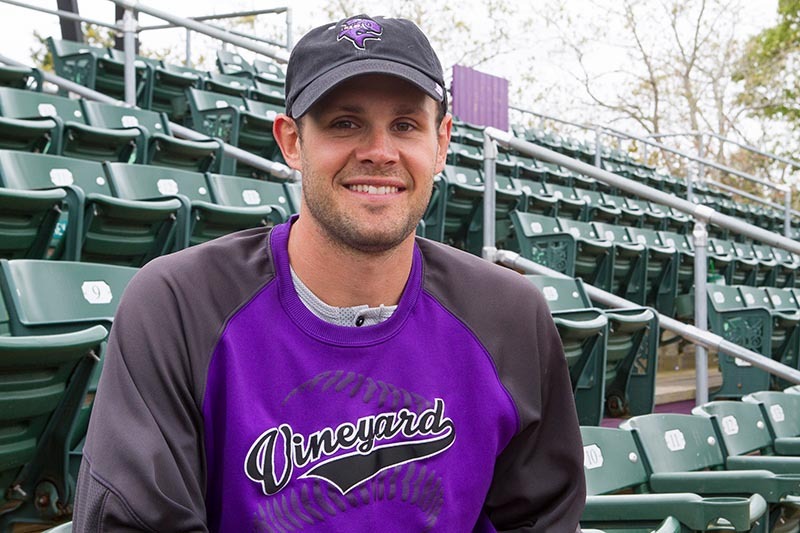 Thursday night a ceremonial first pitch will be thrown at Vineyard Baseball Park, signifying the start of another season of baseball. Hopes and expectations will be high, especially for the home team. From the name emblazoned on their jerseys to the revitalized diamond and sight lines, the local team is inviting fans to be part of something new, something for all of us. For the Sharks schedule and information about tickets, visit mvsharks.com.